Lay a large piece of heavy duty tinfoil on a flat surface. Pour about 1/4 cup of canola oil on the sheet and spread, leaving at least 3 inches on each edge that is left dry. 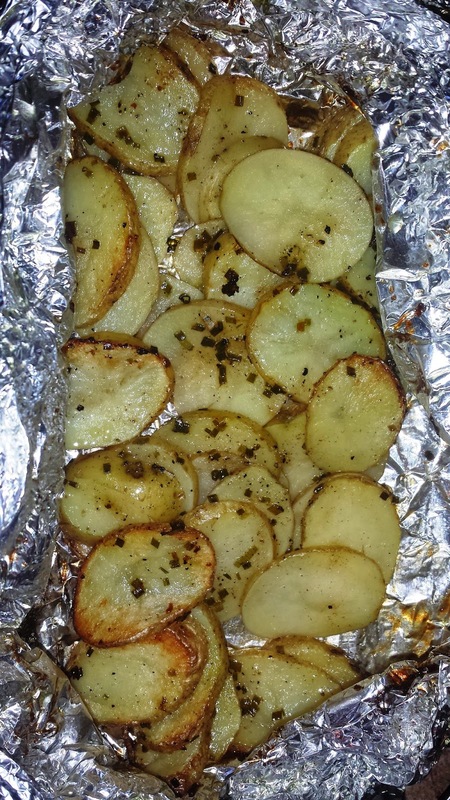 Place your potatoes in a thin layer on the tinfoil (see the first picture). Sprinkle the top evenly with each of the seasonings and the chives. Spray the top with non stick cooking spray. 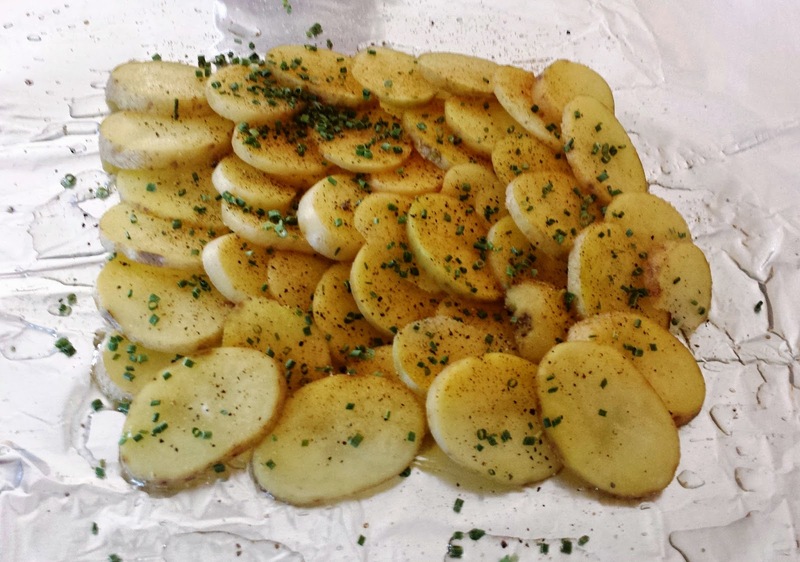 Bring the long edges up together so that the tops are touching, and start rolling them down in one direction until the foil is tightly secure on the top of the potatoes. Roll and tighten each side of the potatoes so that everything is secure. 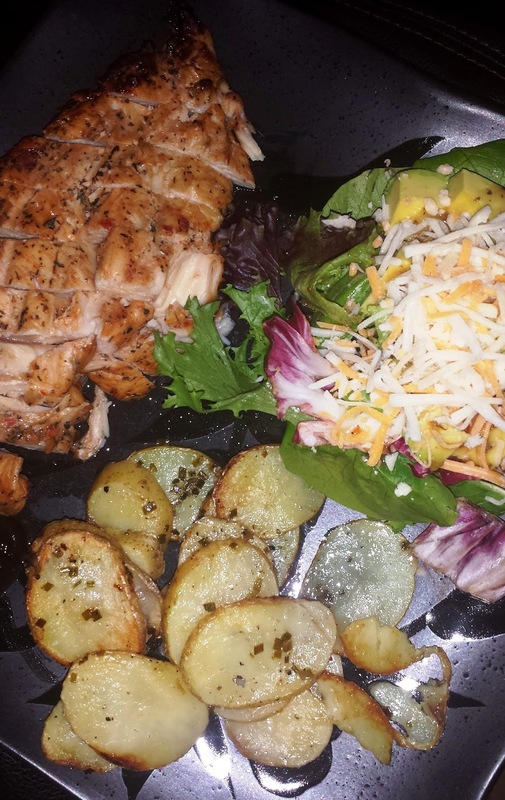 My husband and I prefer the taste of a charcoal grill, so my directions are going to be according to that type of grill. After the coals are hot, place the foil package slightly off to the side on the grill and cook for about 15 minutes. Flip over and cook for at least 10 minutes more (unroll the top slightly to make sure they are fork tender).